Whitney Bischoff Breakup With Chris Soules Explained: Becca Tilley Told Whitney The Bachelor Tried To Cheat? Chris Soules and Whitney Bischoff’s break-up is still fresh – and Bachelor fans are shocked that the couple called off the wedding and went their separate ways. Although, they really shouldn’t be, Chris and Whitney’s relationship was basically doomed since it began during the final rose ceremony. Anyone who watched Chris’s season of The Bachelor can tell you that Whitney Bischoff won the final rose by default. Chris Soules desperately wanted to choose Becca Tilley, and gave her multiple chances to change her mind – but Becca was adamant that she wasn’t ready to get married. Was Becca Tilley the reason that Chris Soules and Whitney Bischoff broke up? Sources say…yes. It’s no secret that Becca and Whitney still speak to each other, and Chris Soules has even said in interviews that the two former competitors were friends. 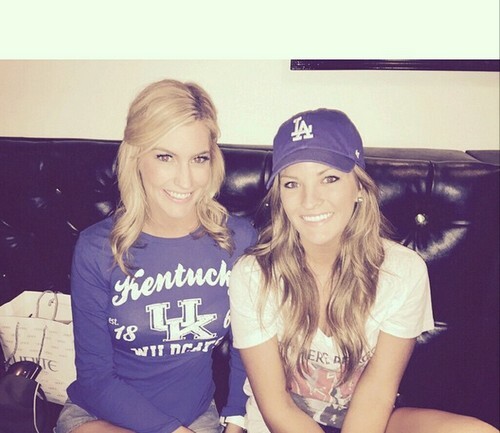 Becca and Kaitlyn Bristowe even posted a photo on Instagram of them video-chatting with Whitney Bischoff. After Chris Soules and Whitney’s breakup over Becca Tilley, Becca took to Twitter to slam any and all rumors of her getting back together with Soules. Becca tweeted, “Ya’ll are funny – get back together with that guy who didn’t choose you in the first place.” Are you surprised that Chris Soules was that grimy and tried to hook up with runner up Becca Tilley behind Whitney’s back? Do you blame her for breaking up with him? Let us know what you think in the comments below! ‘The Bachelor’ 2015 Spoilers: Who Won Season 19 Finale, Chris Soules Proposes To Winner Becca Tilley or Whitney Bischoff?